A Room of One's Own is glad to welcome a double-bill event with r.r. campbell, author of Imminent Dawn, and M.A. Hinkle, author of Diamond Heart! r. r. campbell is an author, editor, and the founder of the Writescast Network, a podcast collective for writers, by writers. His science fiction debut, Imminent Dawn, premiered at number one for new releases in LGBT science fiction on Amazon. He can be found online at EMPATHYseries.com, rrcampbellwrites.com, and on most social media as @iamrrcampbell. M.A. 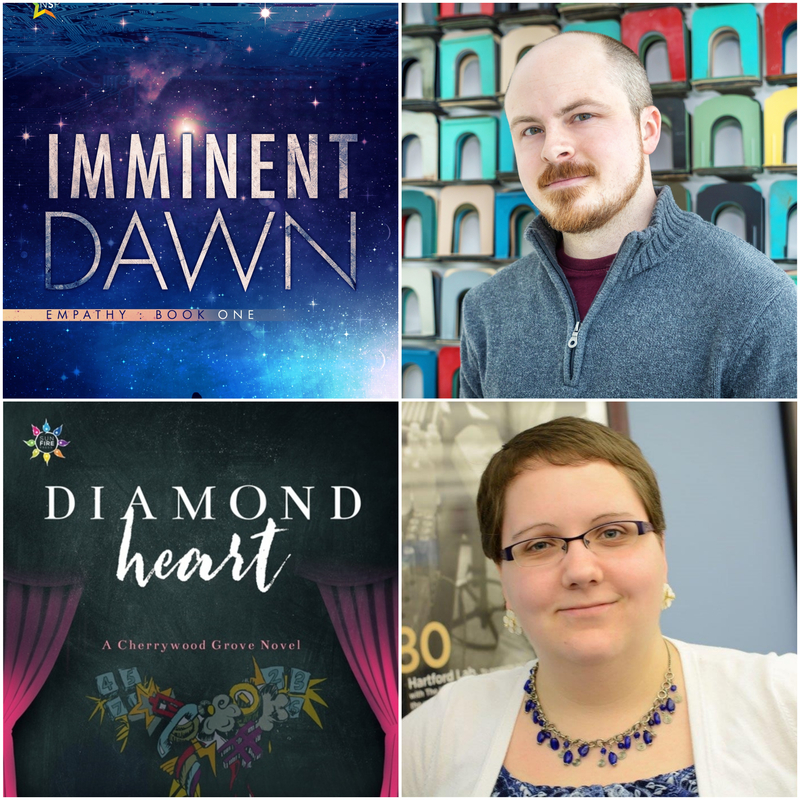 Hinkle is an editor and the author of two books, Death of a Bachelor and Diamond heart, both of which are published by NineStar Press.